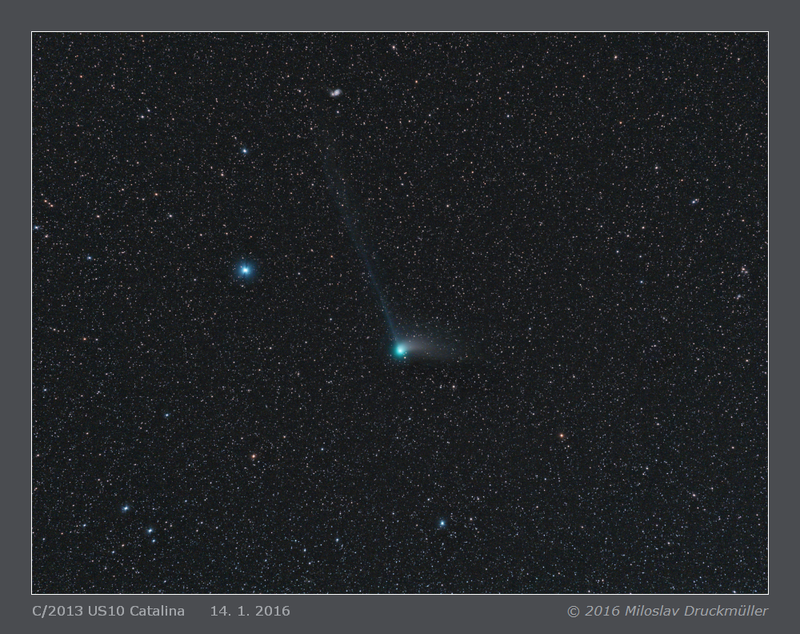 This image of the comet C/2013 US10 Catalina was acquired from peripheral district of Brno city about 10 m far from a street lamp. The light of Na vacuum tube was efficiently blocked by means of Astronomik CLS filter. 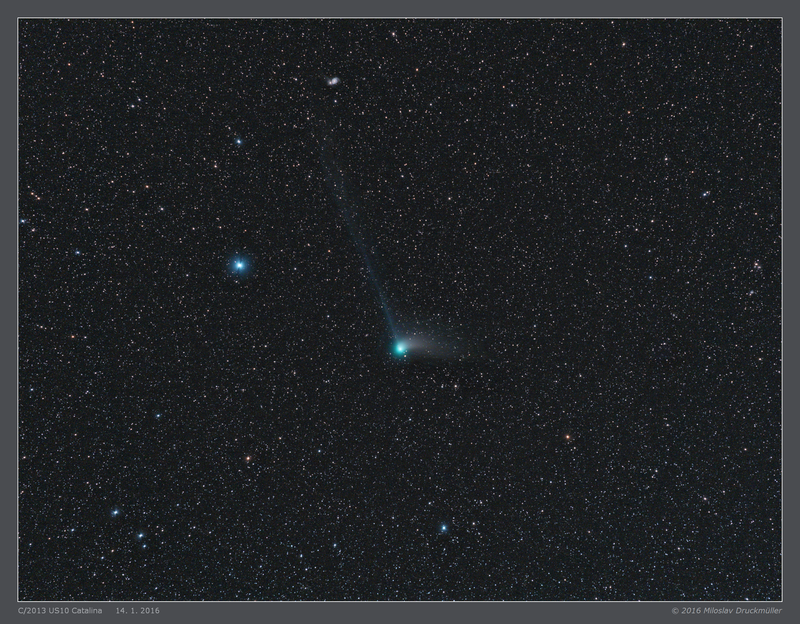 The comet was 0.733 AU far from the Earth and 1.346 AU far from the Sun. It was moving fast in the sky (6.54"/min). The brightest star in the image is Alkaid (Eta UMa). Whirpool galaxy M 51 (more precisely the pair of galaxies NGC 5195, NGC 5194) is clearly visible on the top of the image near the comet's ion tail. Click on the image or on the following reference to display the higher resolution image version (8.4 MB, PNG format).